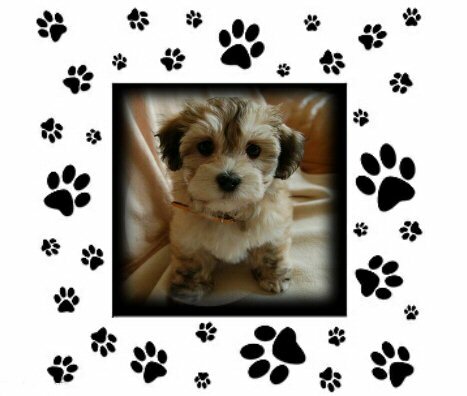 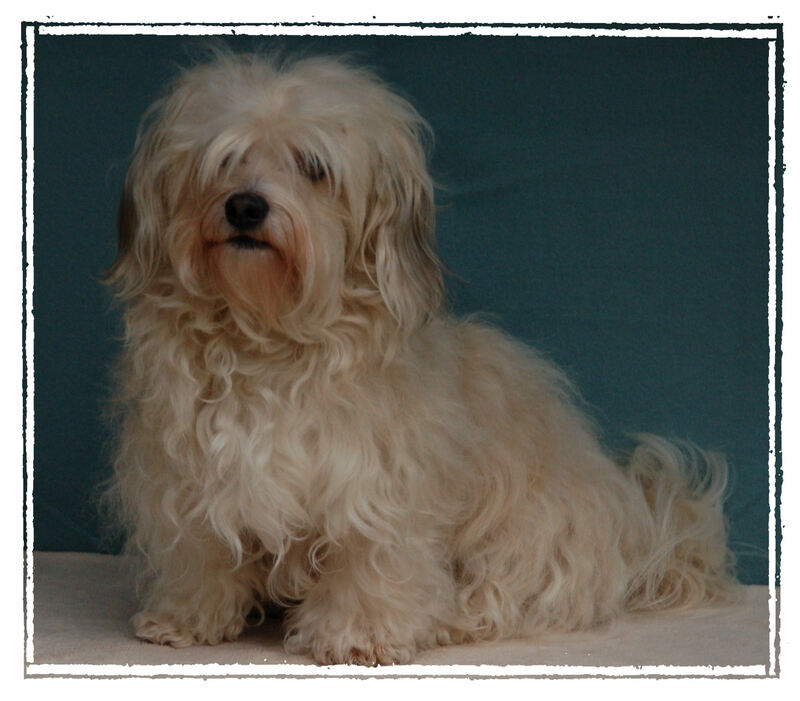 Gioia is our third Havanese. 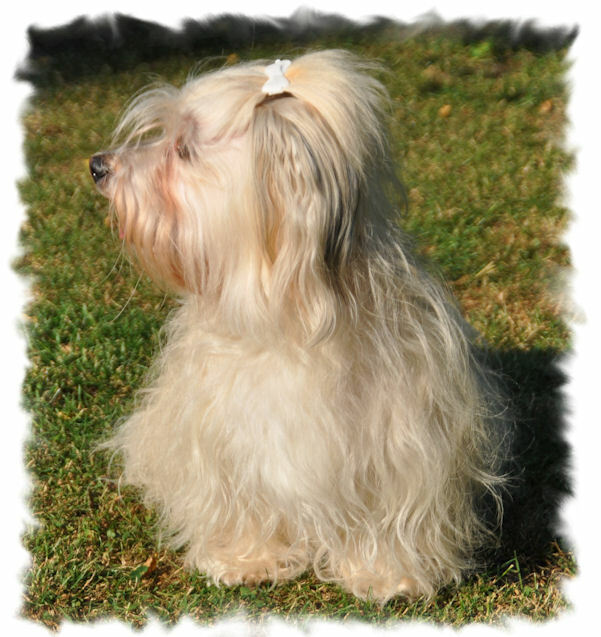 She has a pedigree. 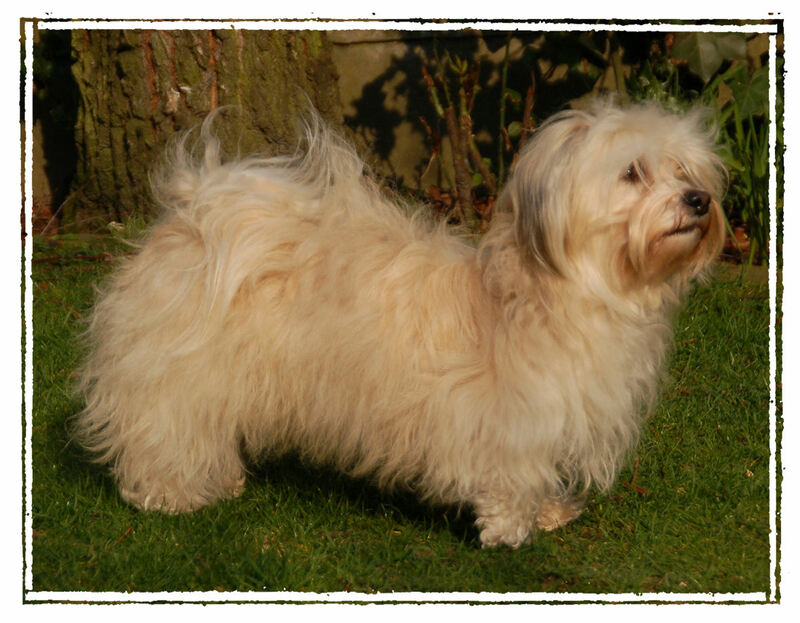 On the occasion of a dog show we've met Nadine, a breeder of Vinkt. 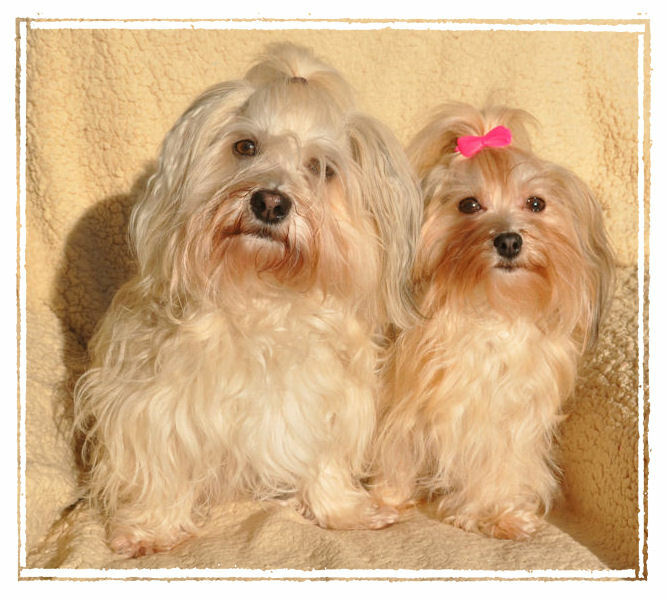 February 8, 2007, Angel gave birth to four puppies. 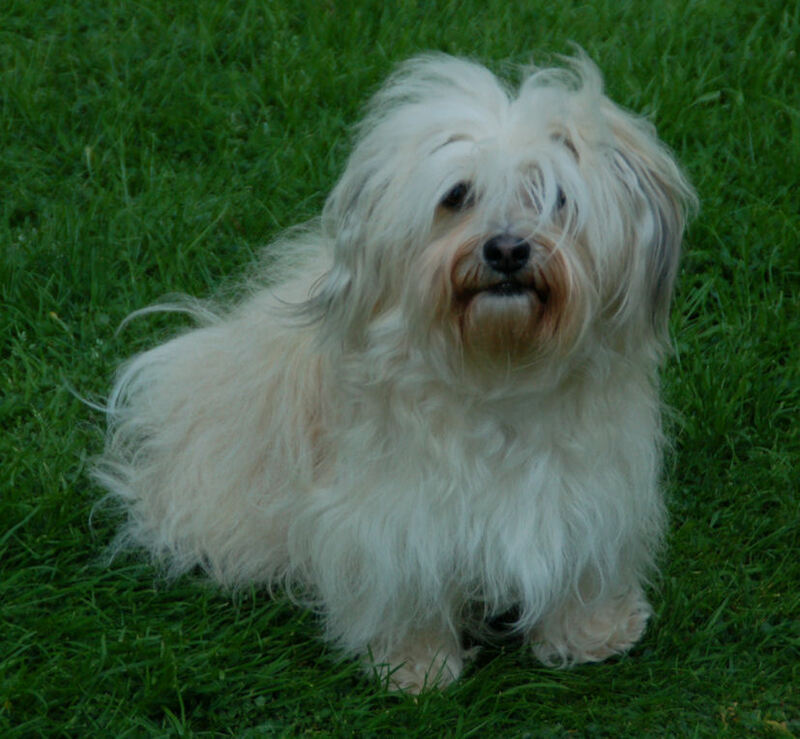 Gioia was the only female of the litter. 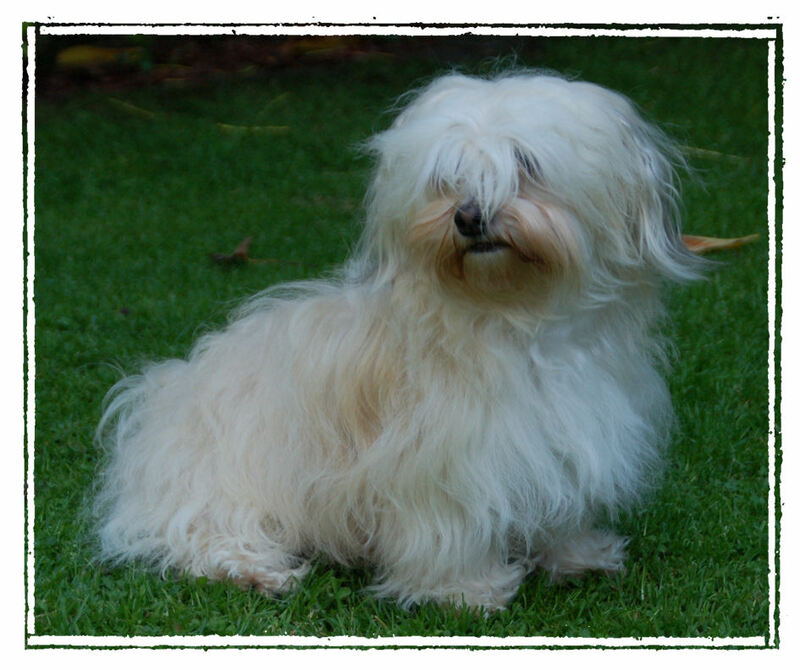 Her parents are Enrico mis Amores Pequenios and Angel Los Guapas. 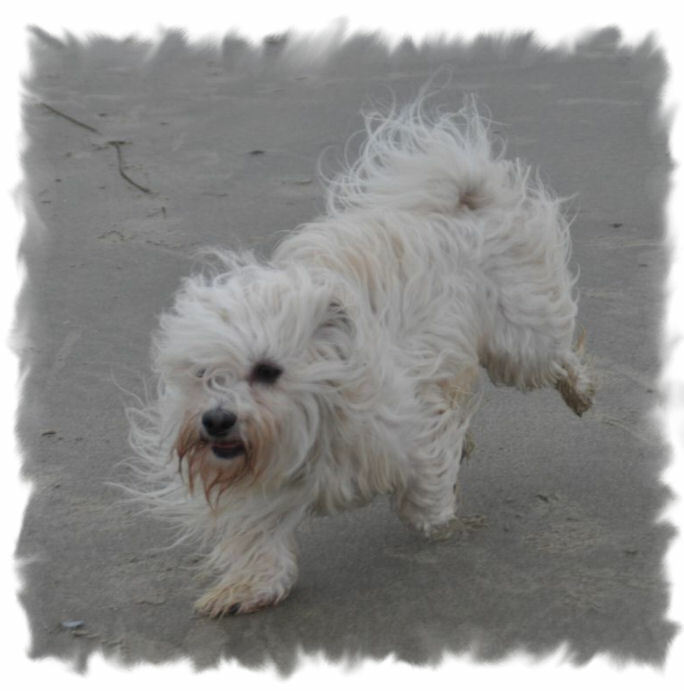 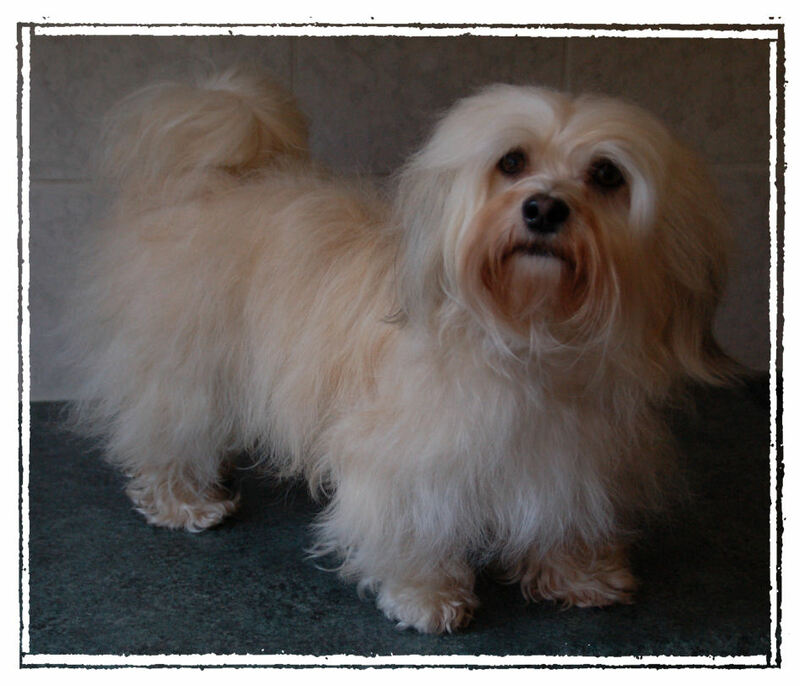 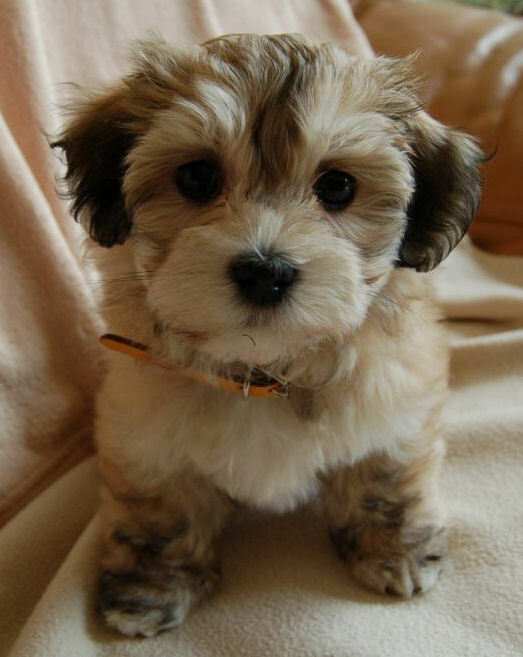 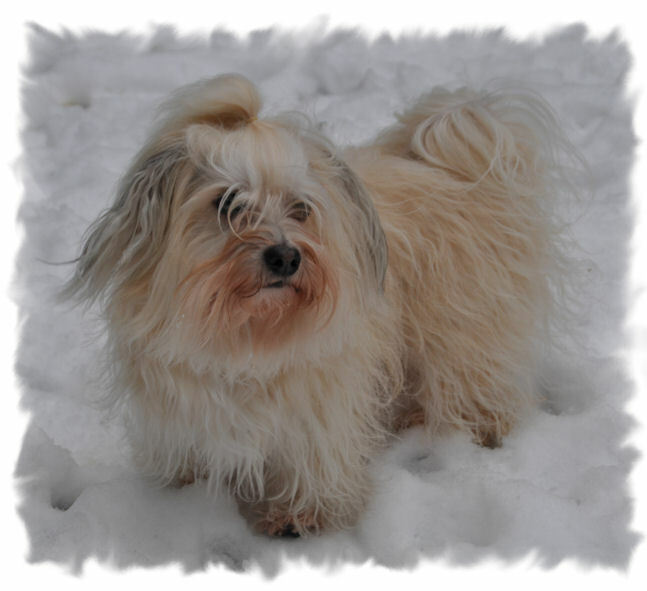 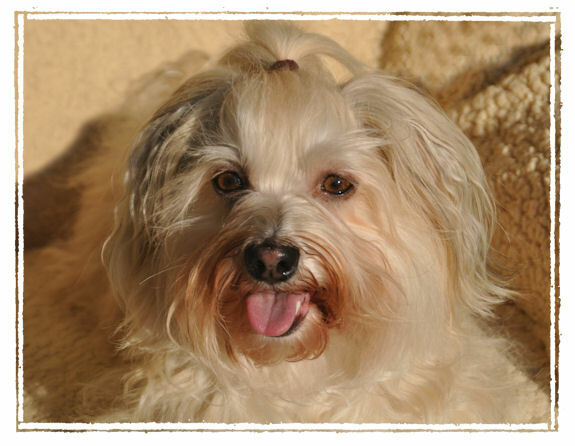 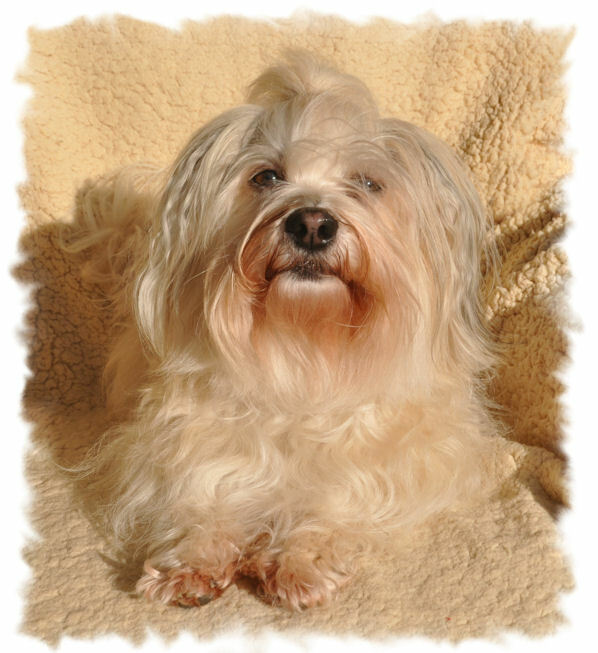 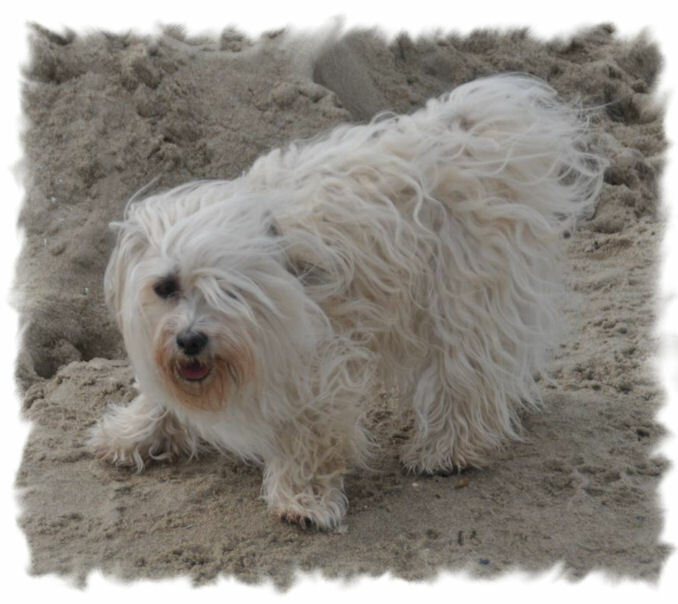 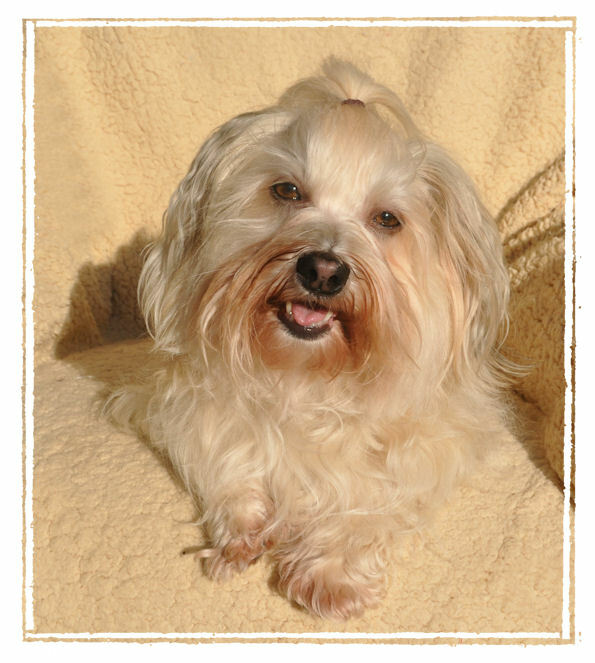 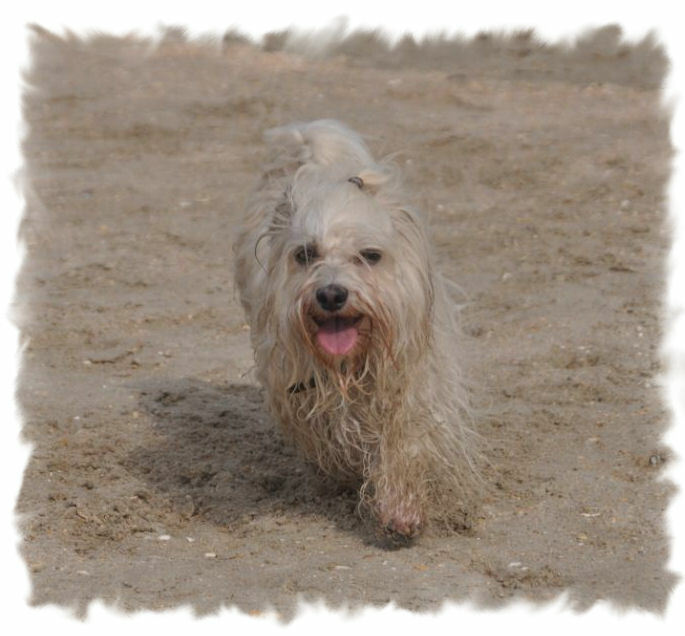 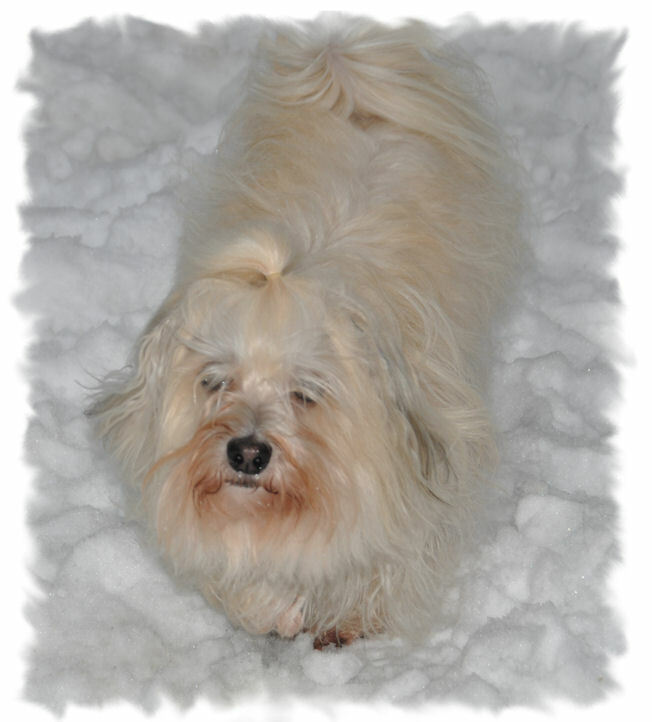 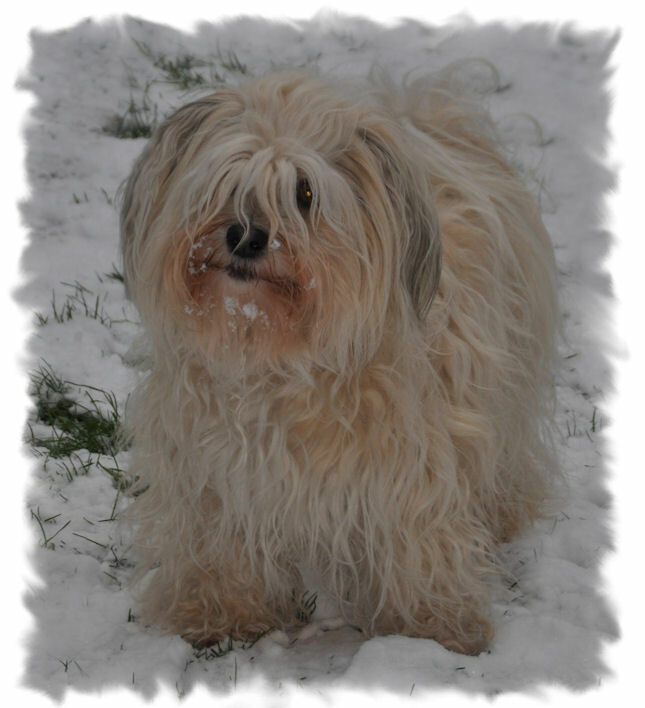 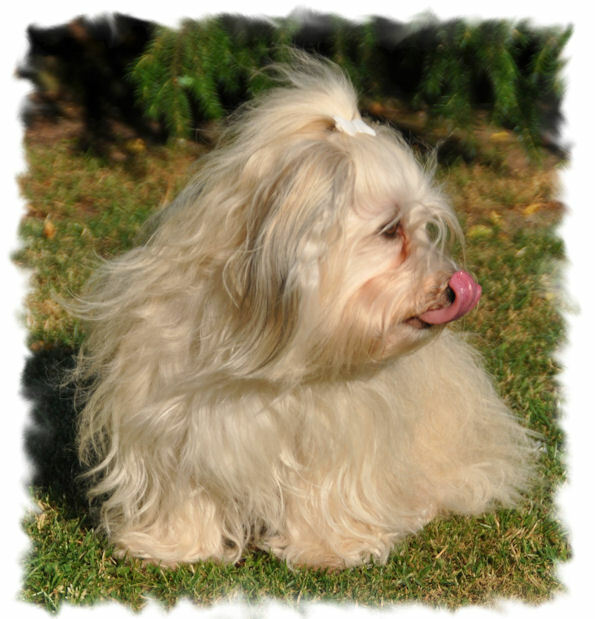 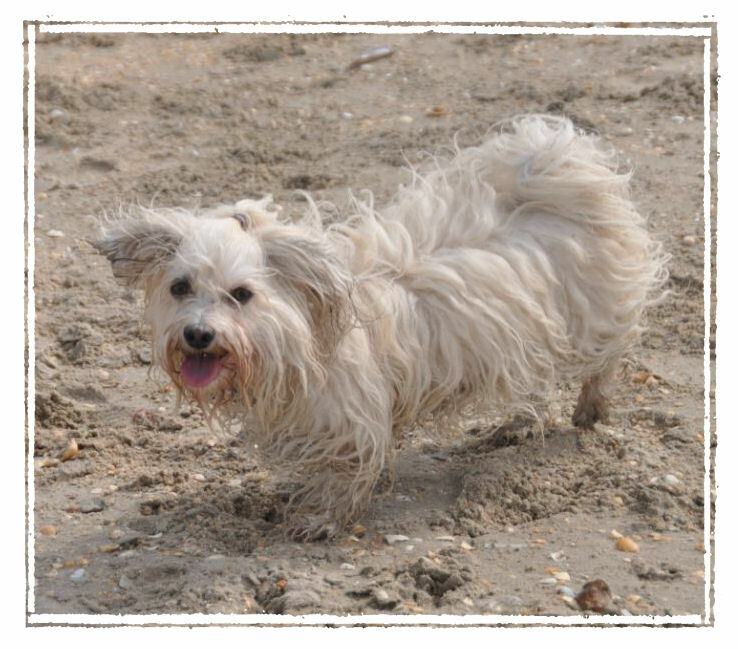 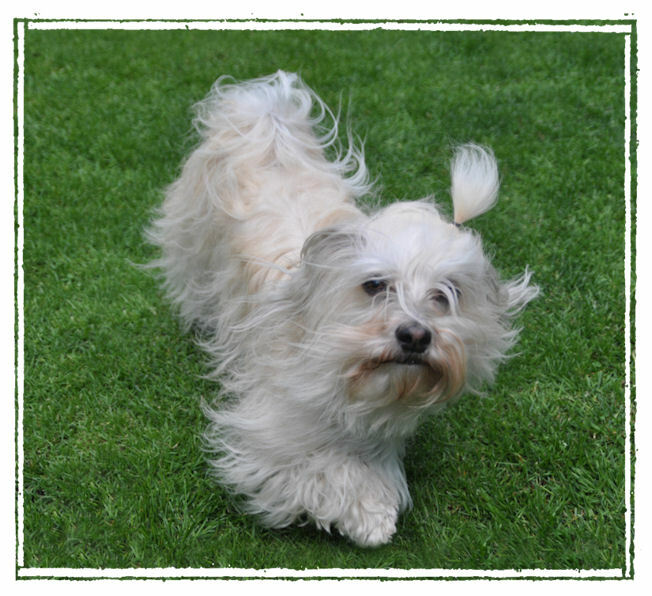 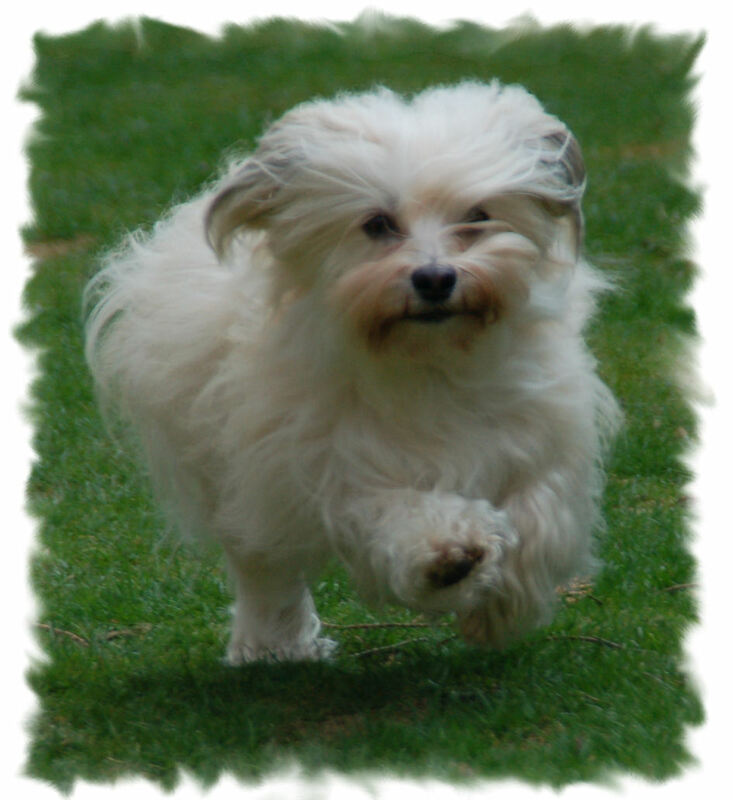 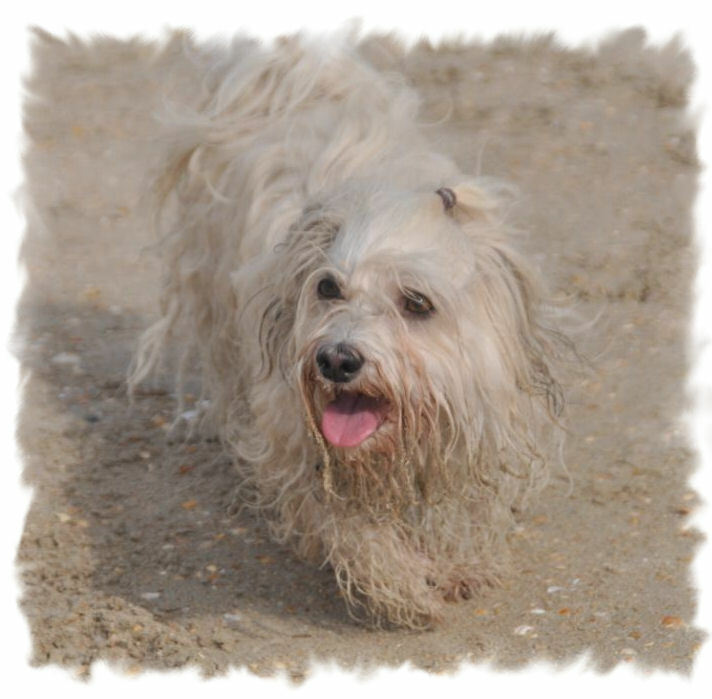 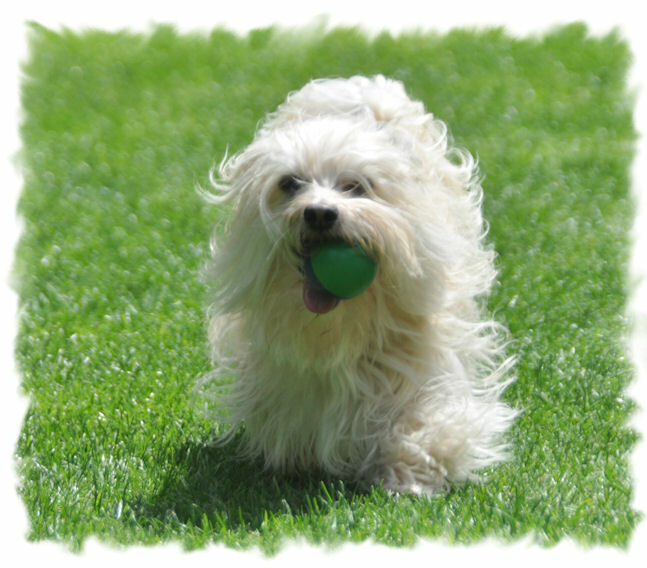 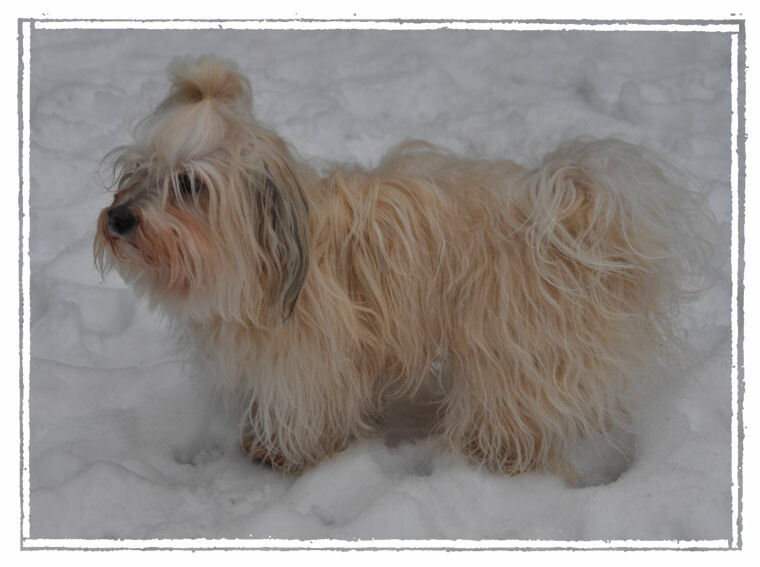 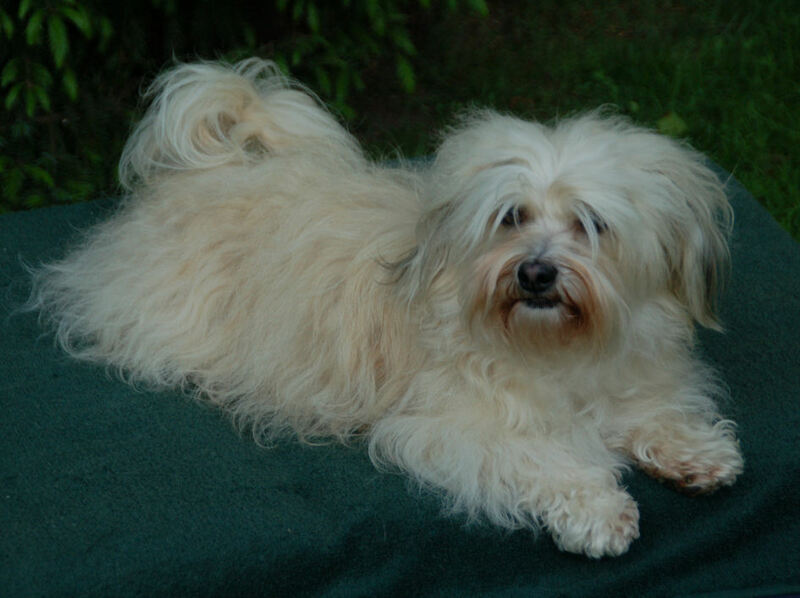 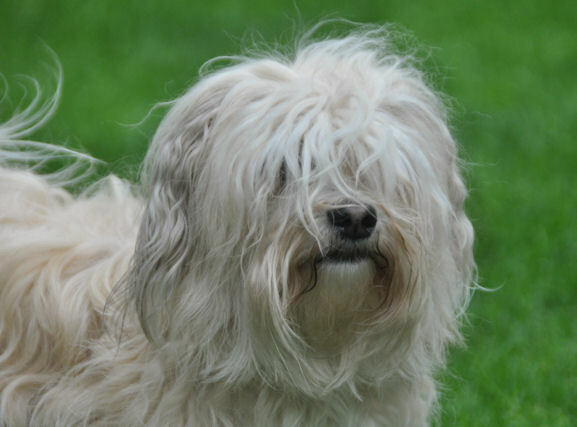 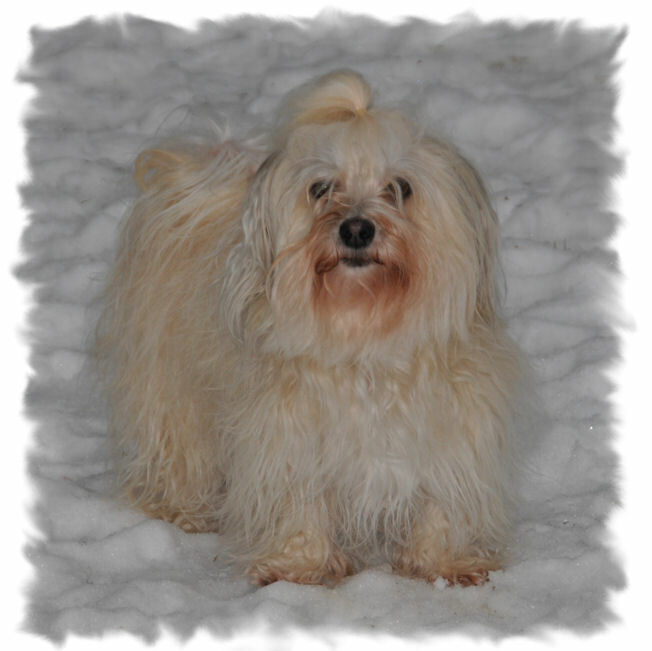 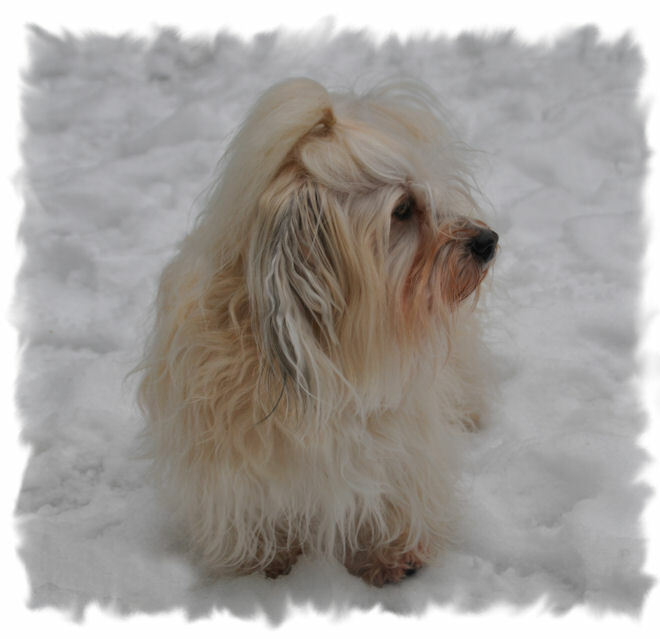 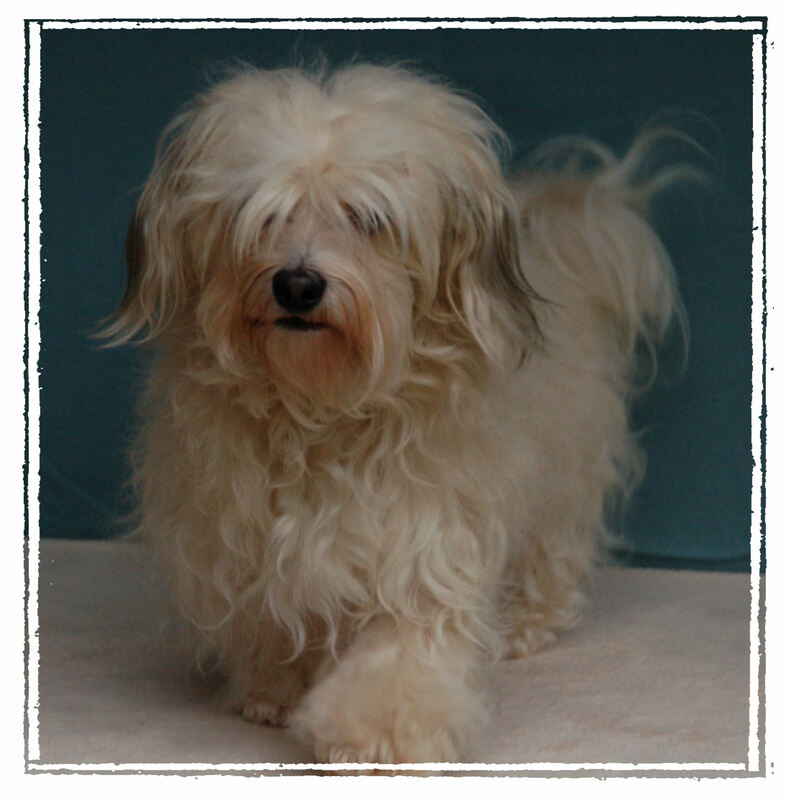 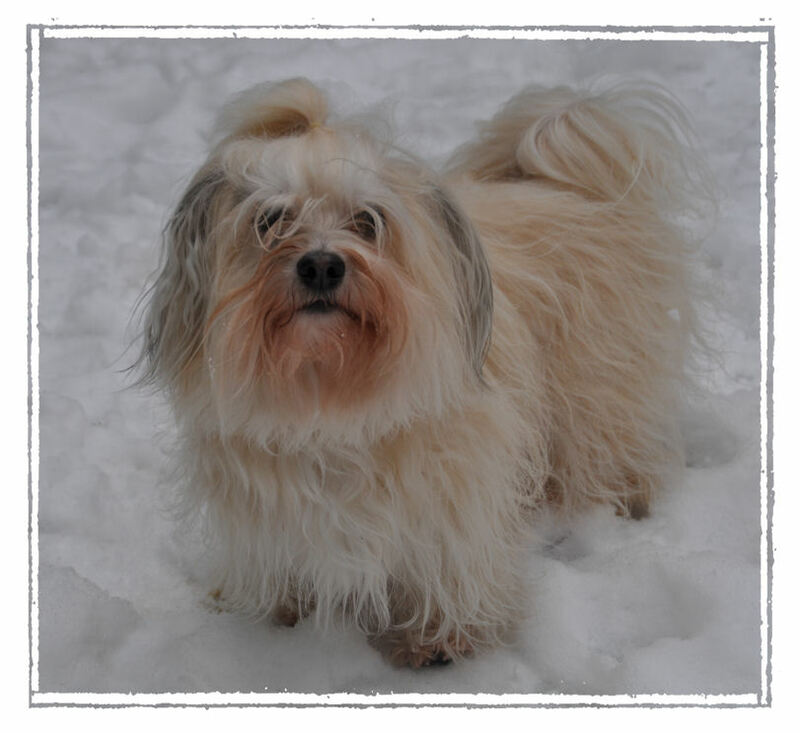 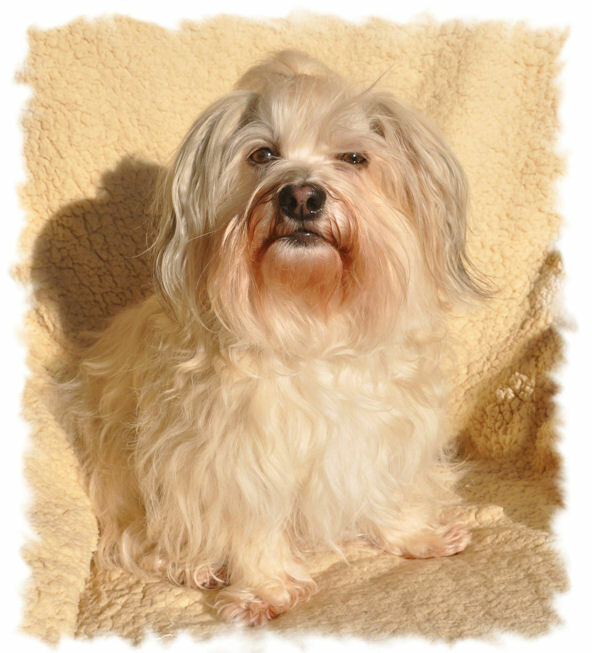 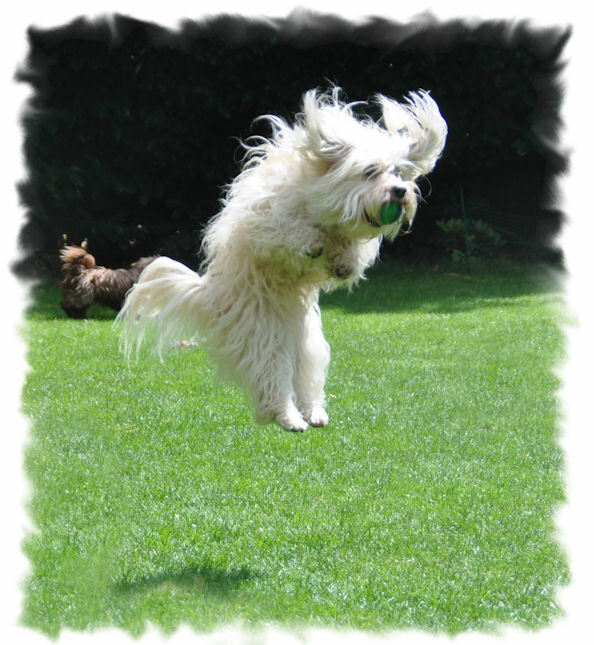 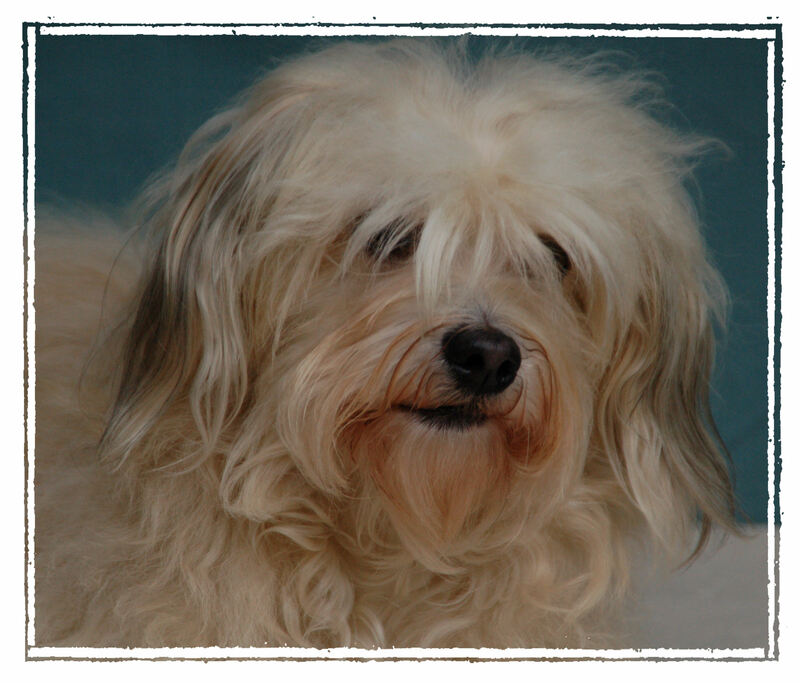 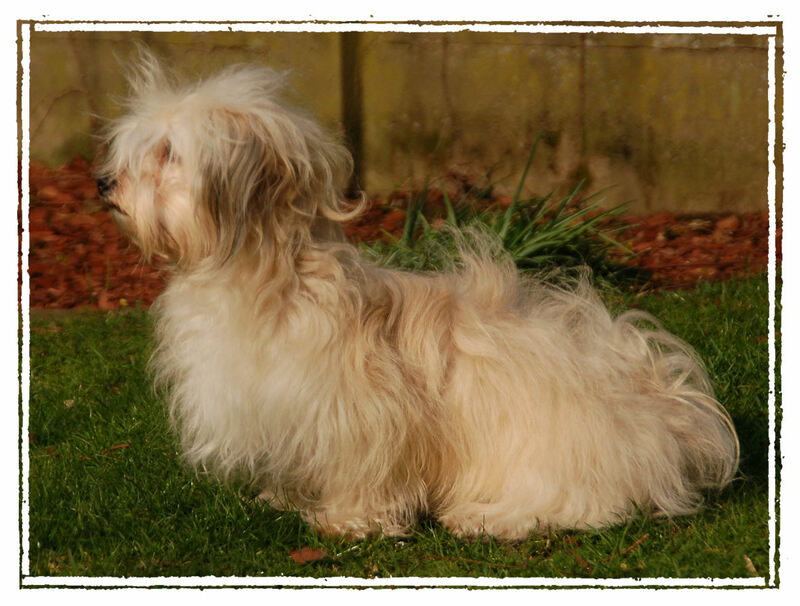 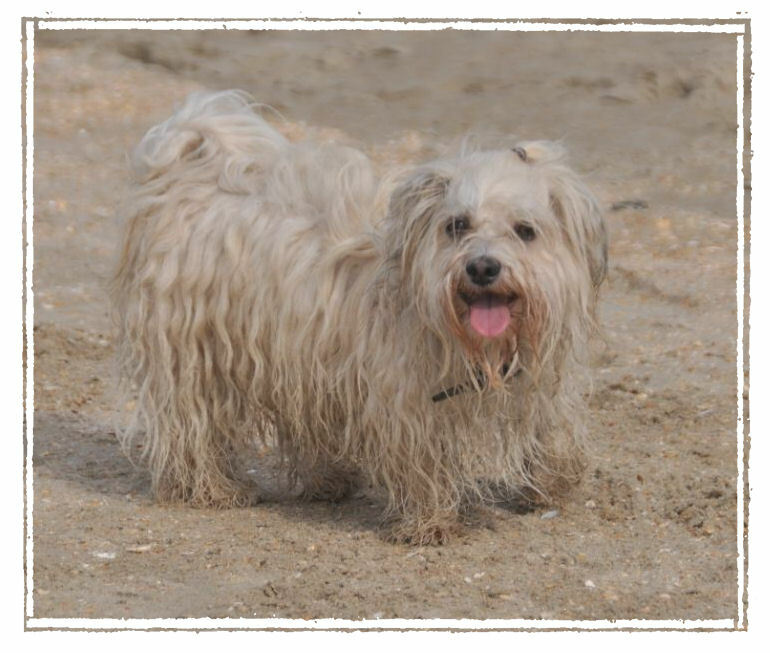 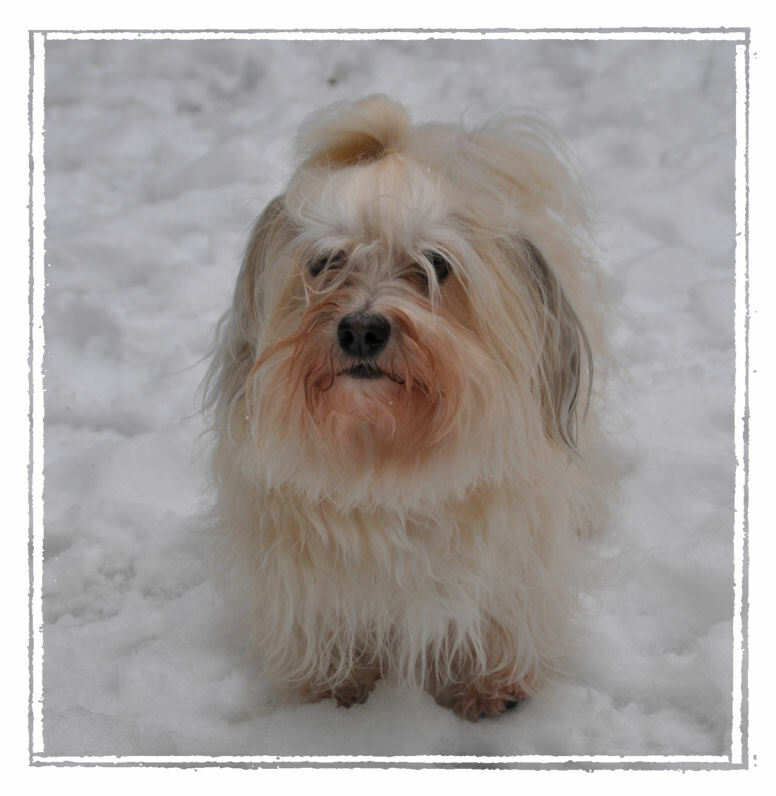 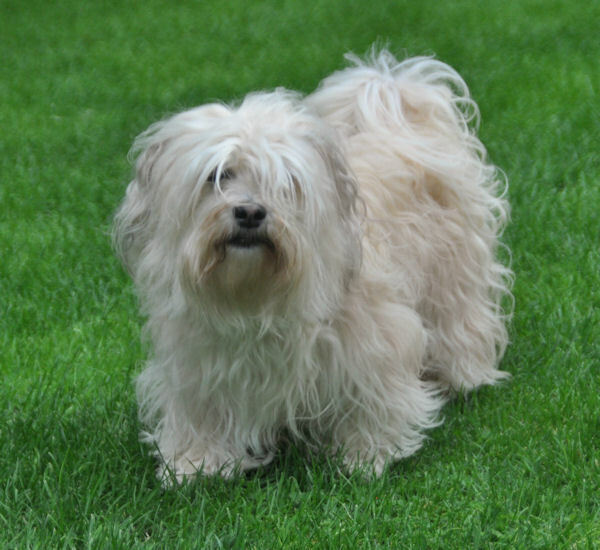 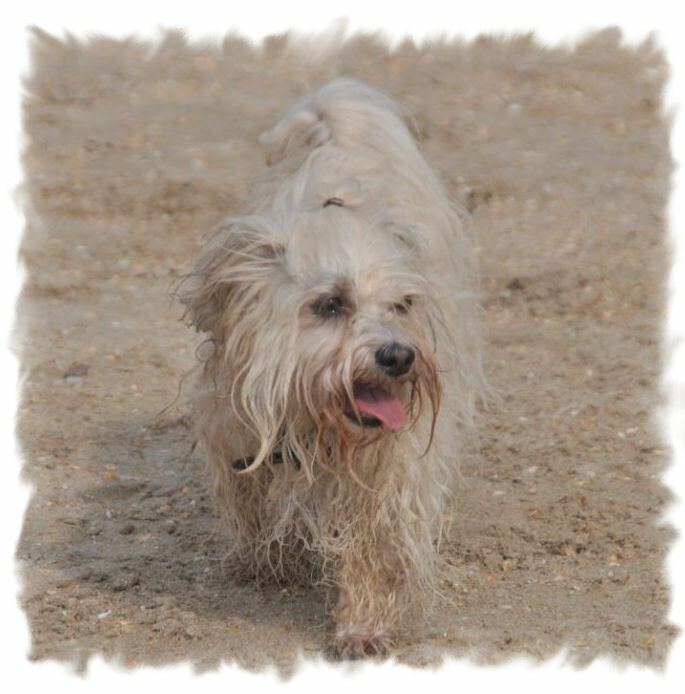 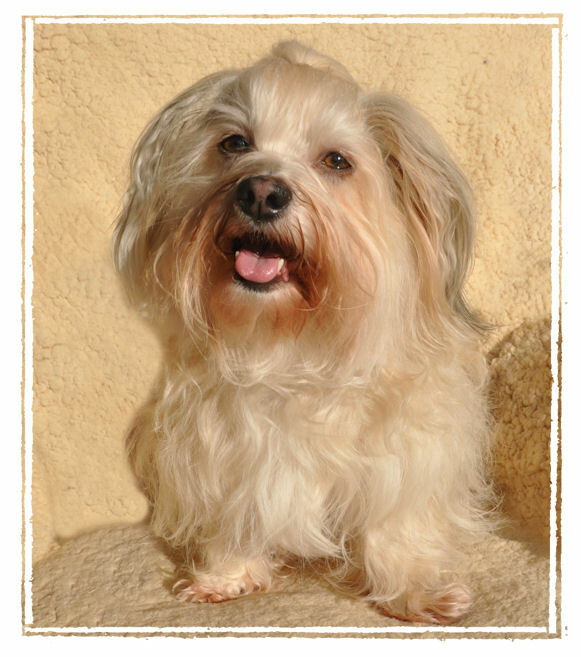 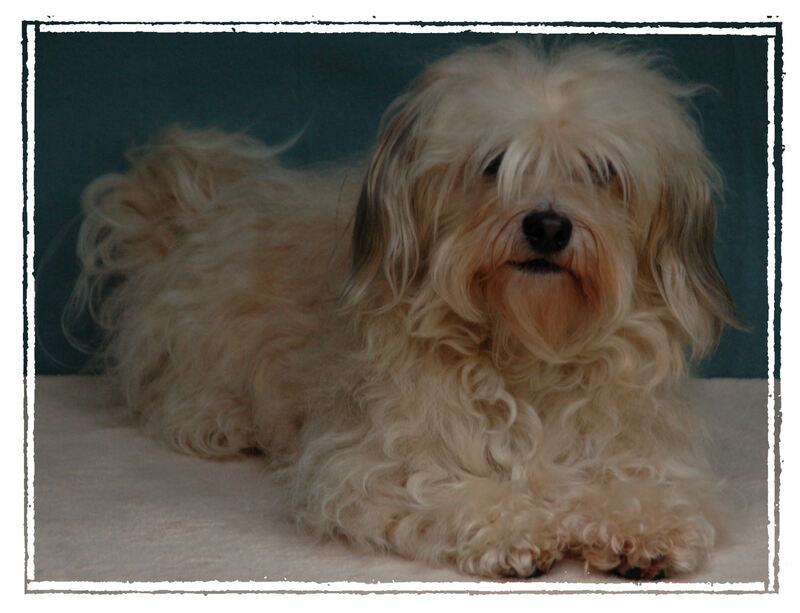 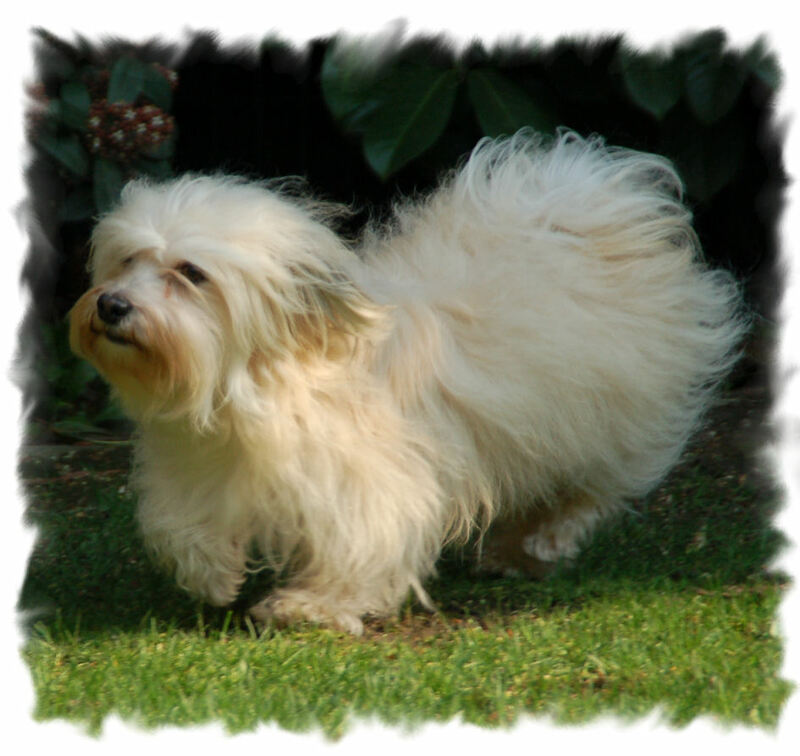 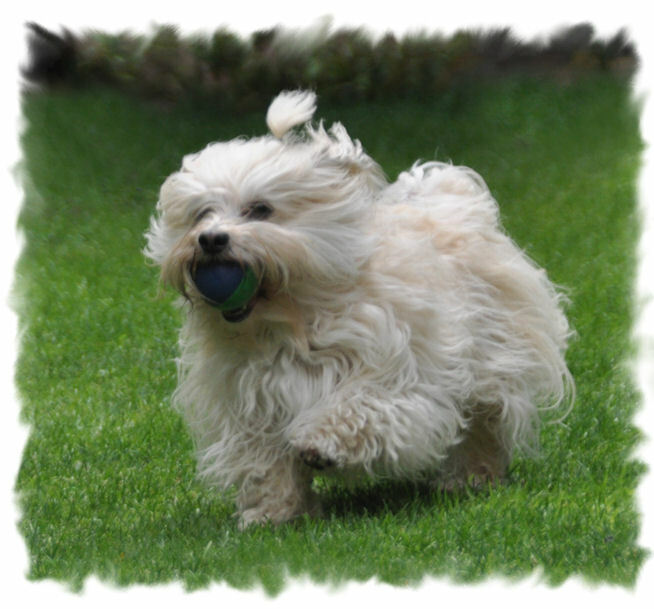 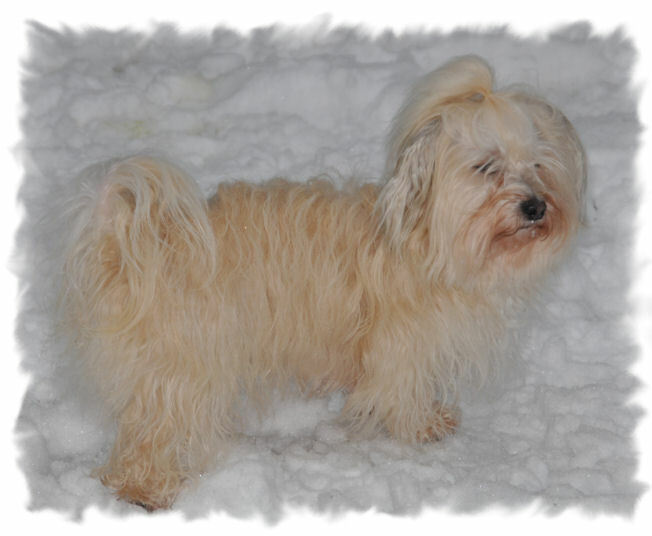 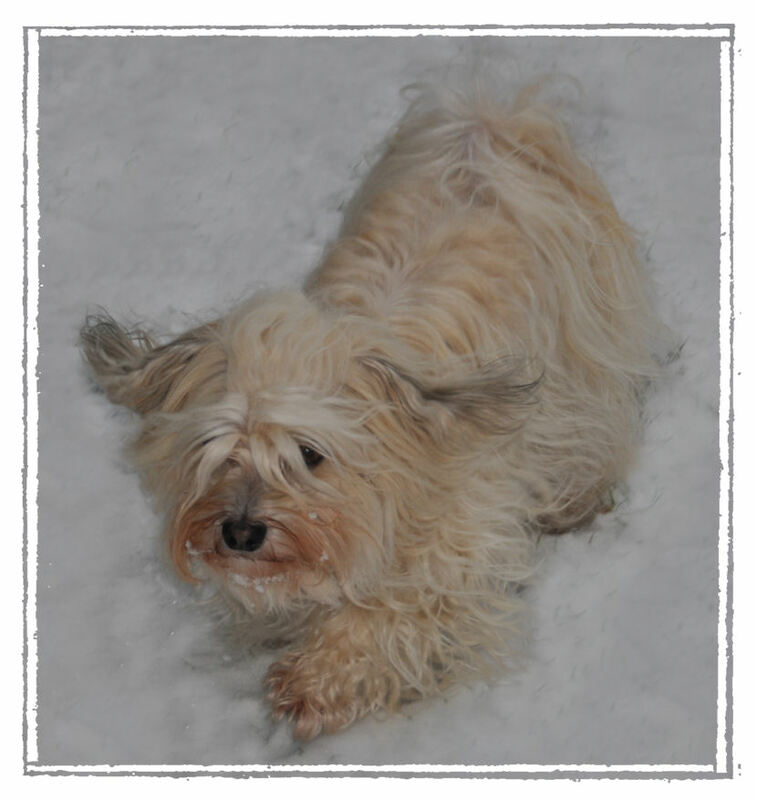 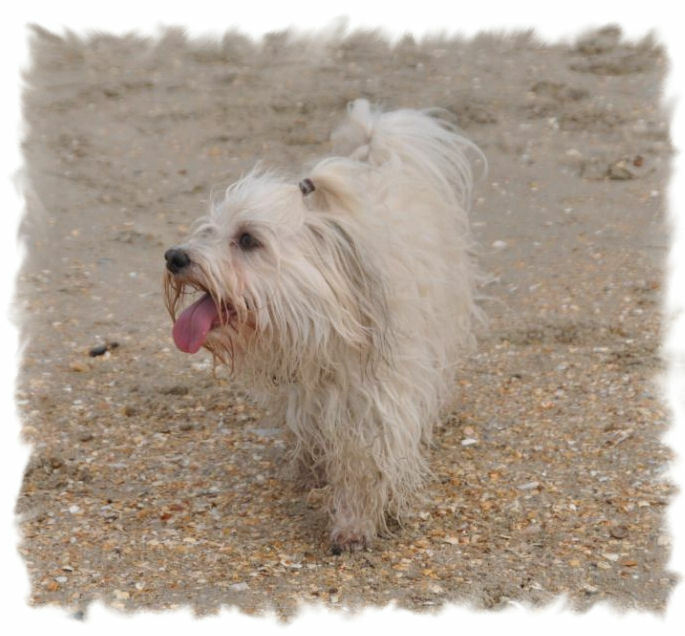 This time we wanted a Havanese with a lighter coat colour. 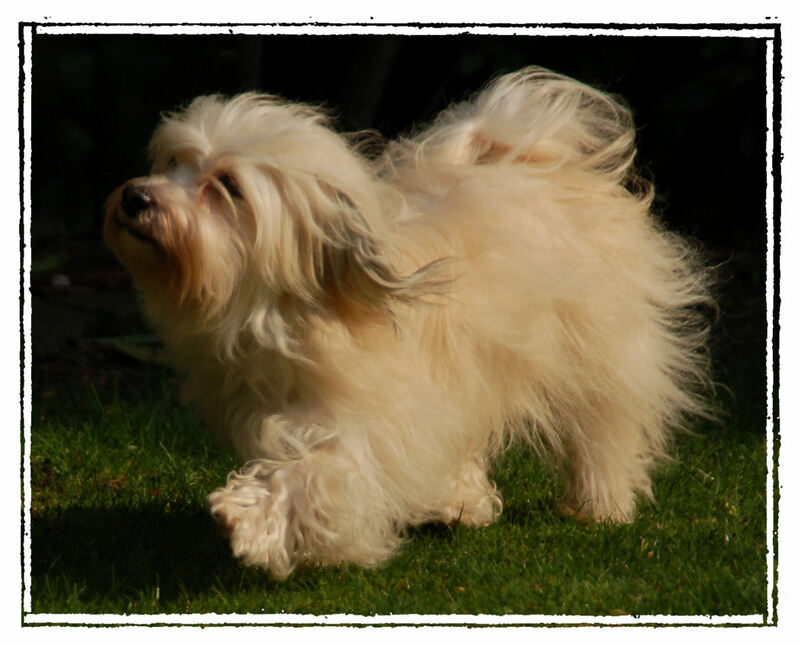 Eight weeks later we've welcomed Gioia in our home. 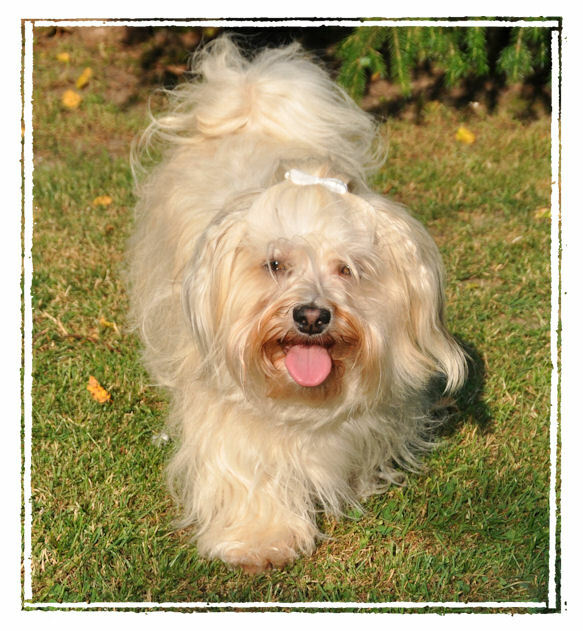 She felt immediately good with us. 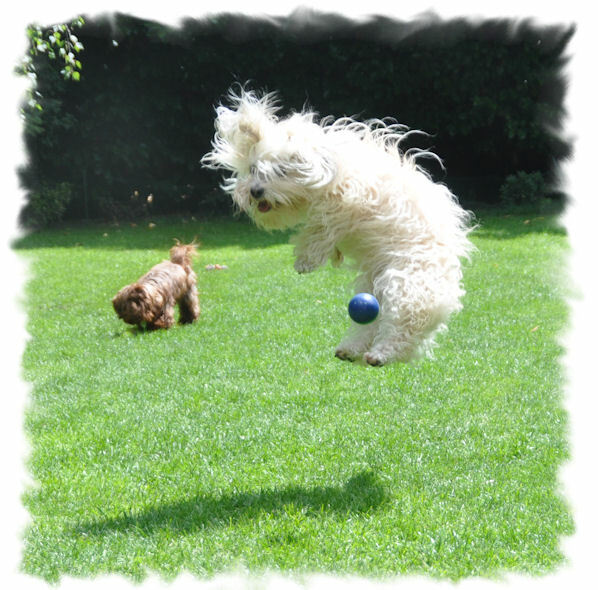 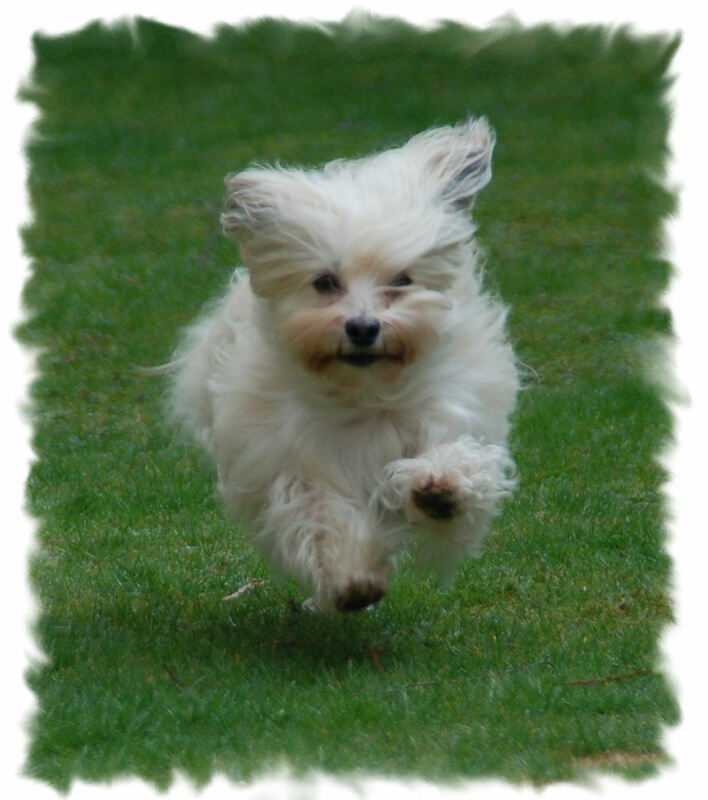 Unfortunately, our Maltese was ill at that moment. 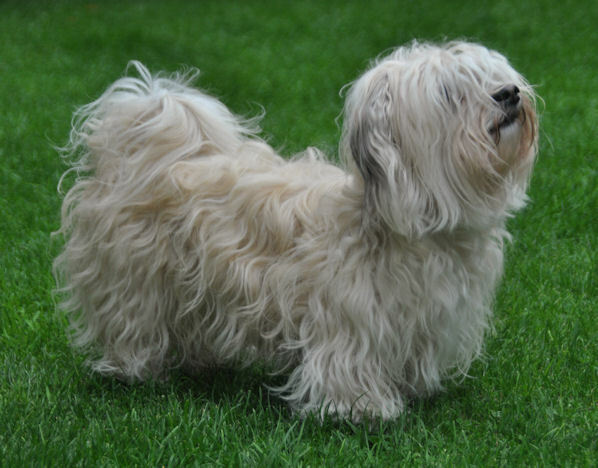 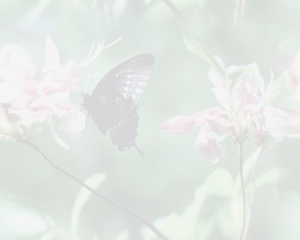 « Gioia » is an Italian name that means « joy, sun, jewel ». 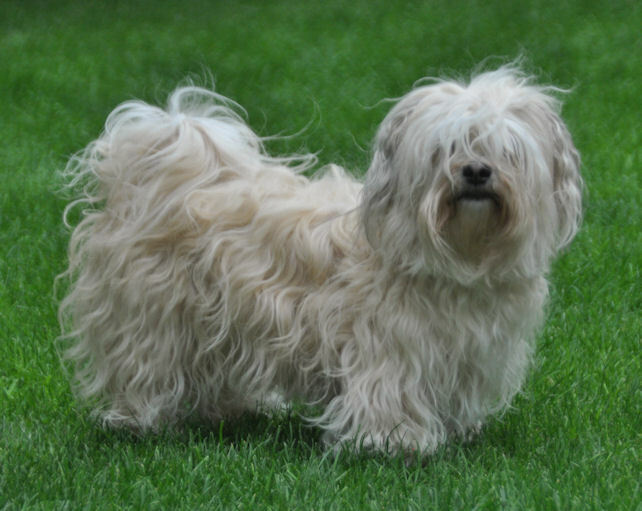 Gioia is Sable colored. 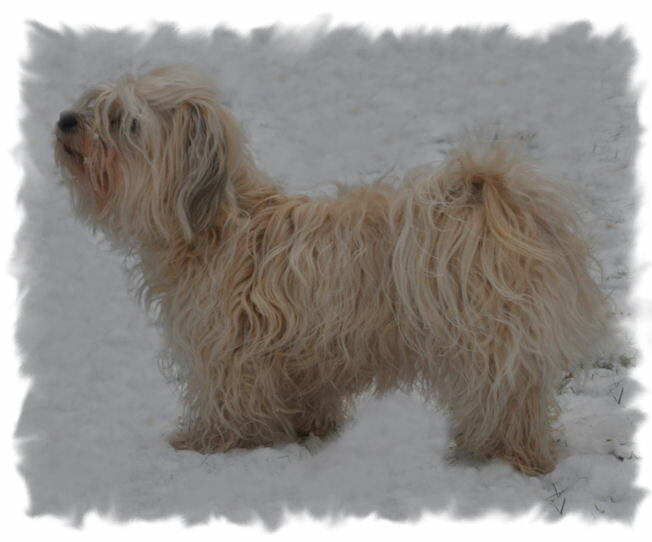 The black endings of the hairs on her ears, her tail and her back became dark grey. 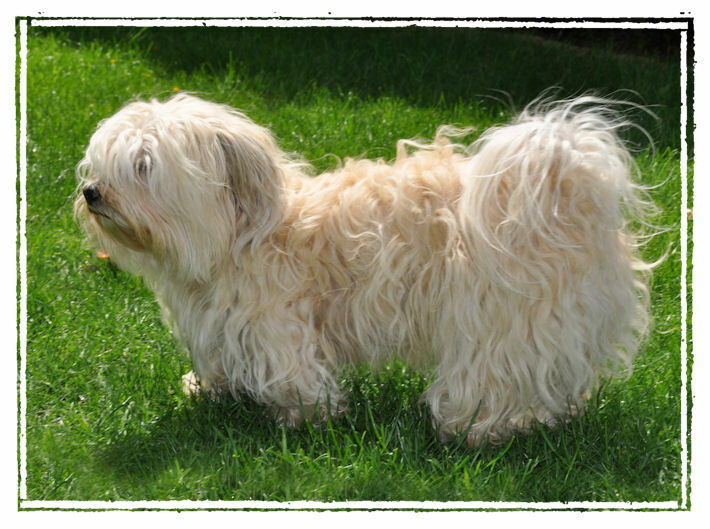 Gioia is a very curious dog. 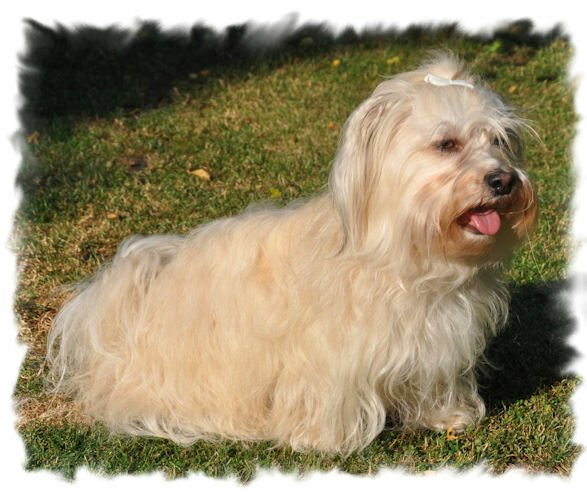 She likes to use her voice: she barks easily. 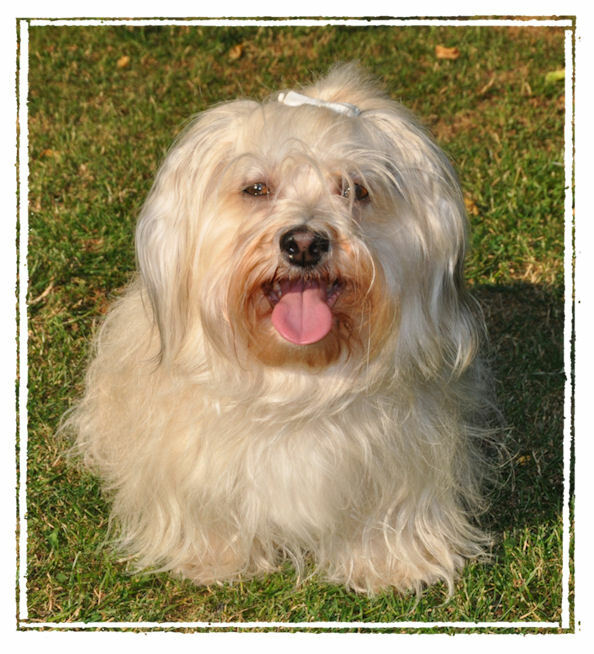 Gioia knows very well how to behave as a clown with her funny expression. 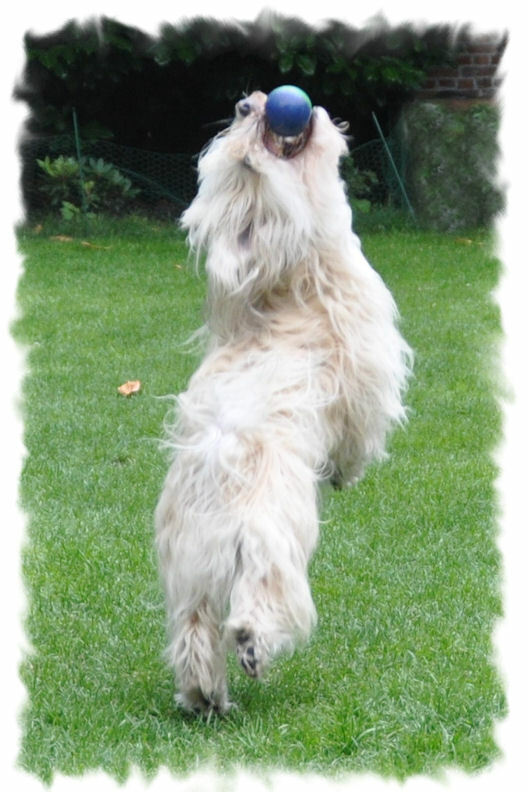 Since she was a puppy, we do Dog Dance with her. 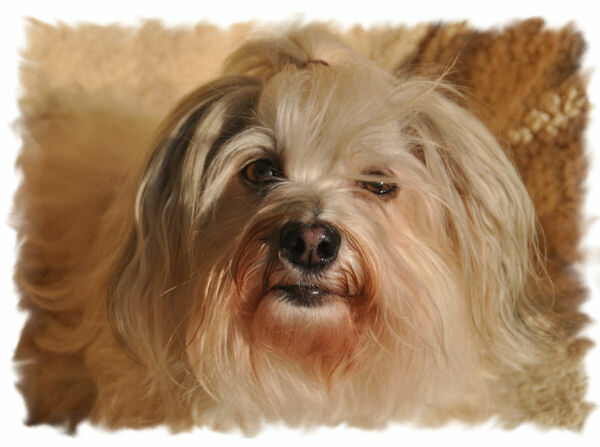 She is not the most easy dog to work with because of her character. 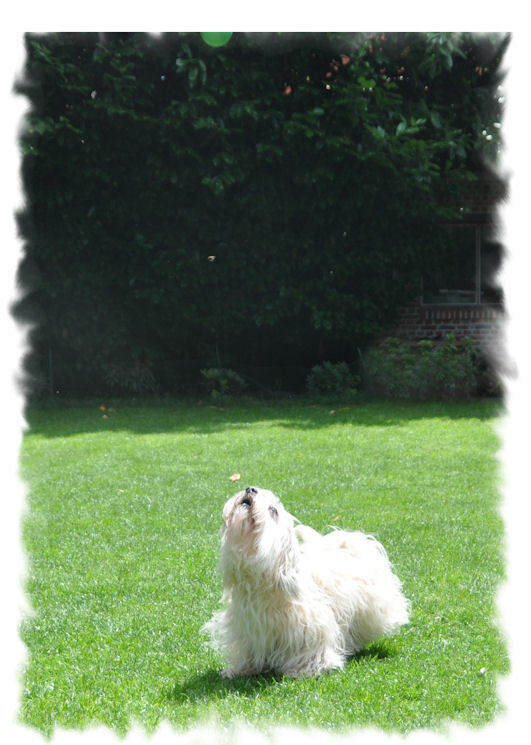 She doesn't have a lot of patience and she likes to protest. 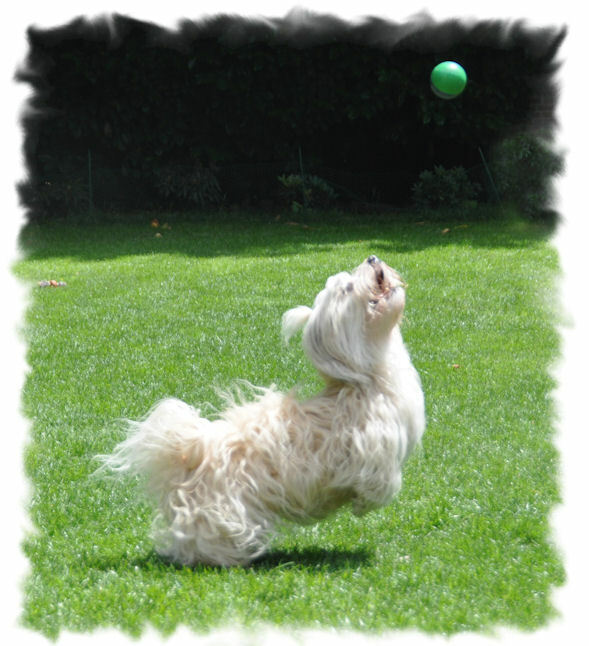 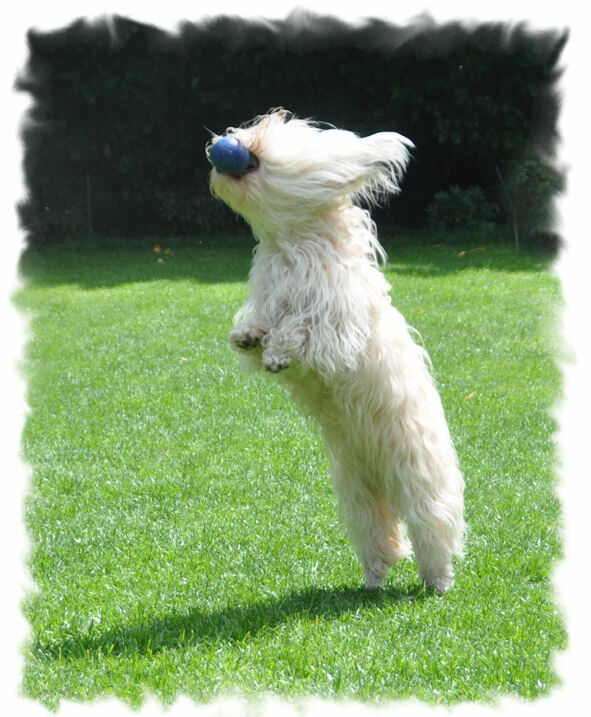 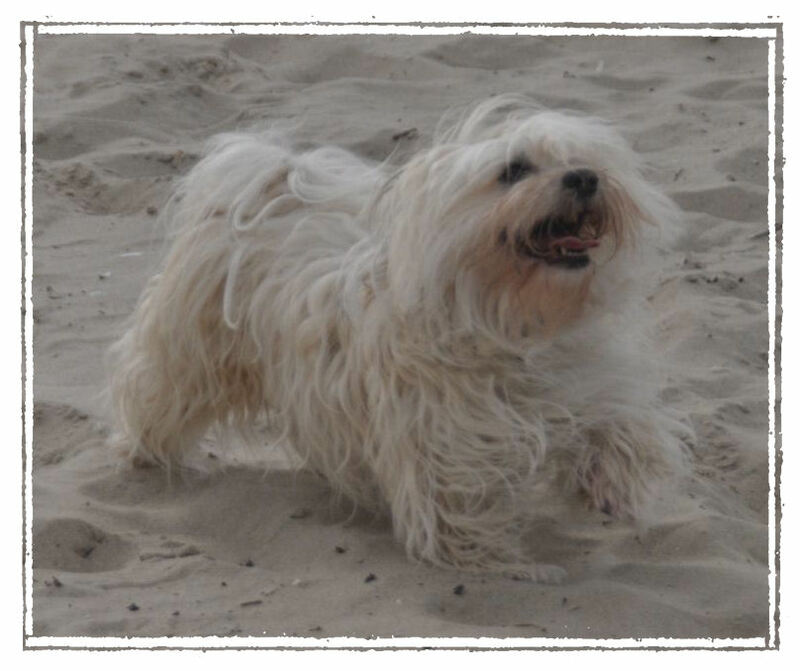 We participate to Dog Dance demonstrations and competitions with Gioia. 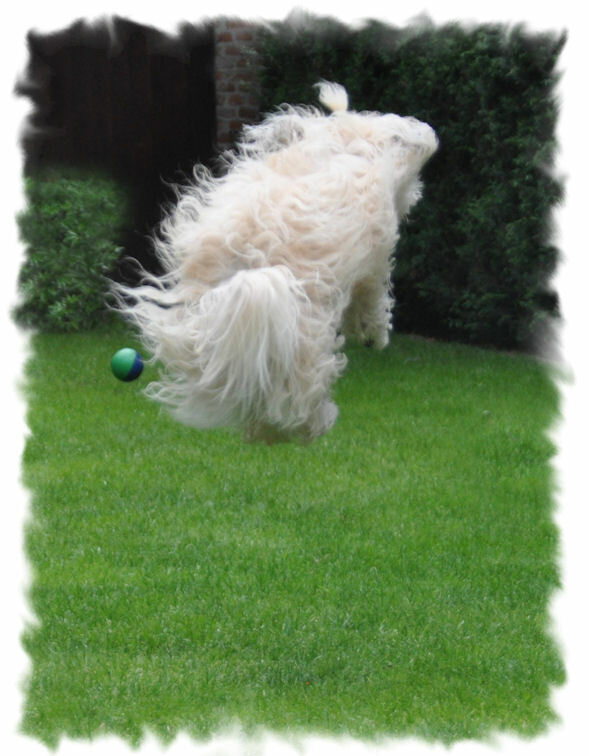 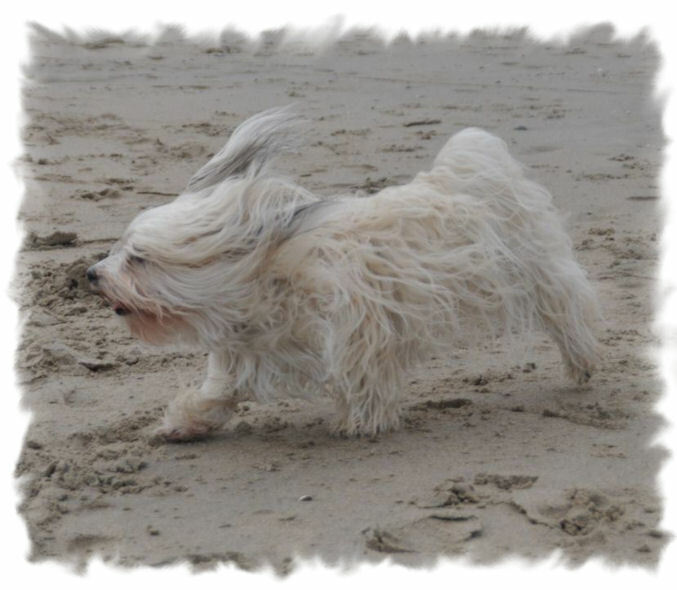 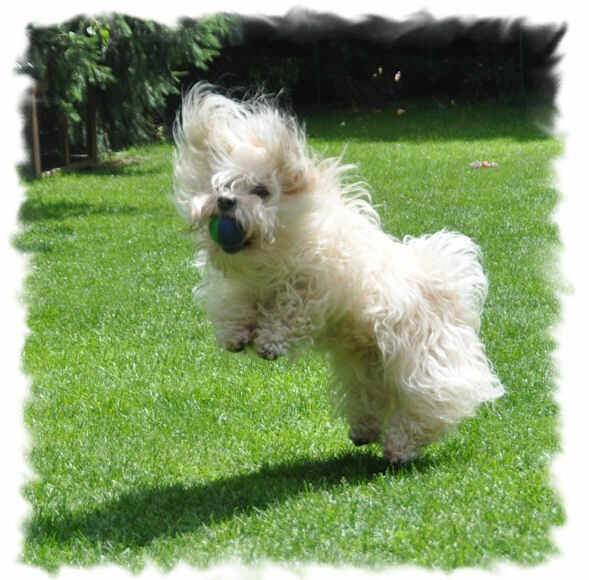 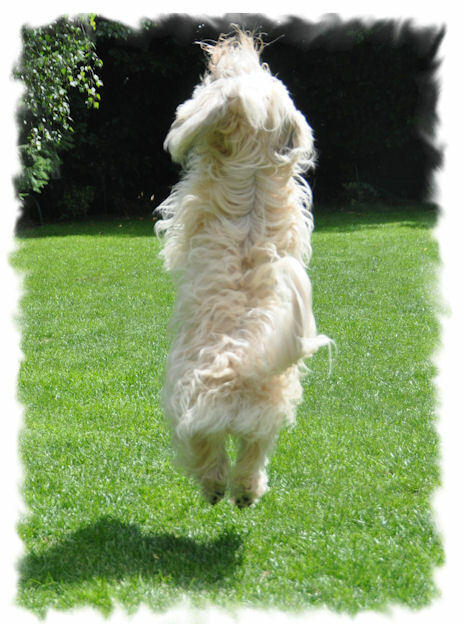 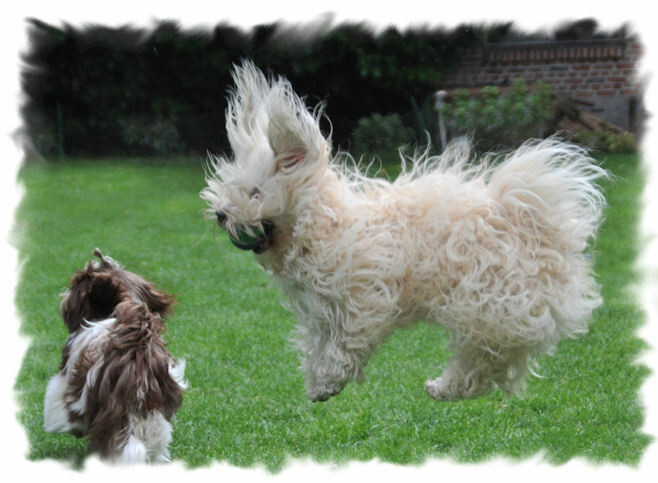 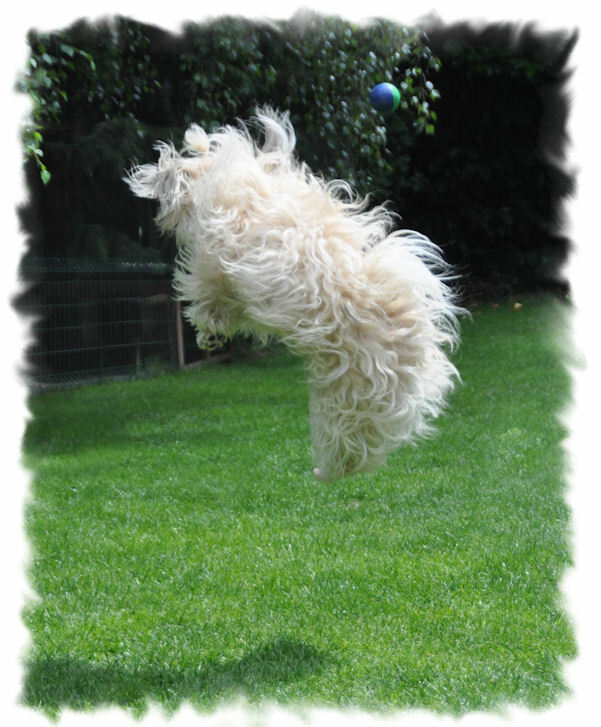 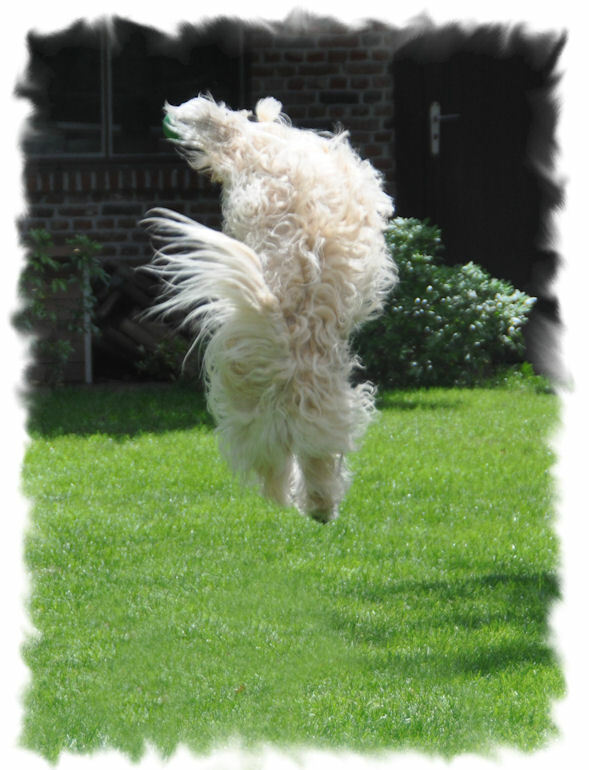 Since September 2008 we do Agility with her. 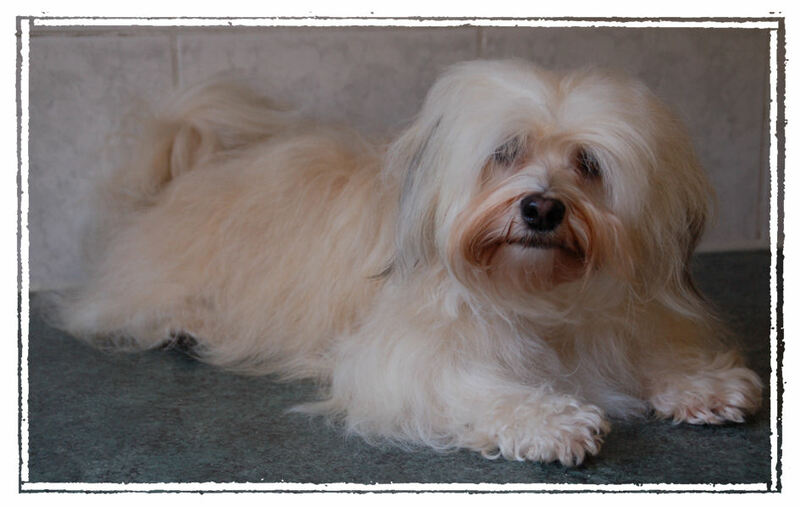 After a few months, Gioia become more gentle. 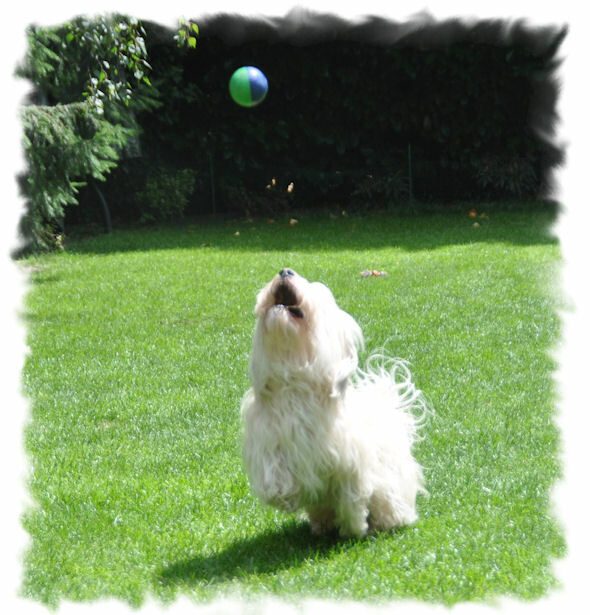 She also likes attention and playing with her ball. 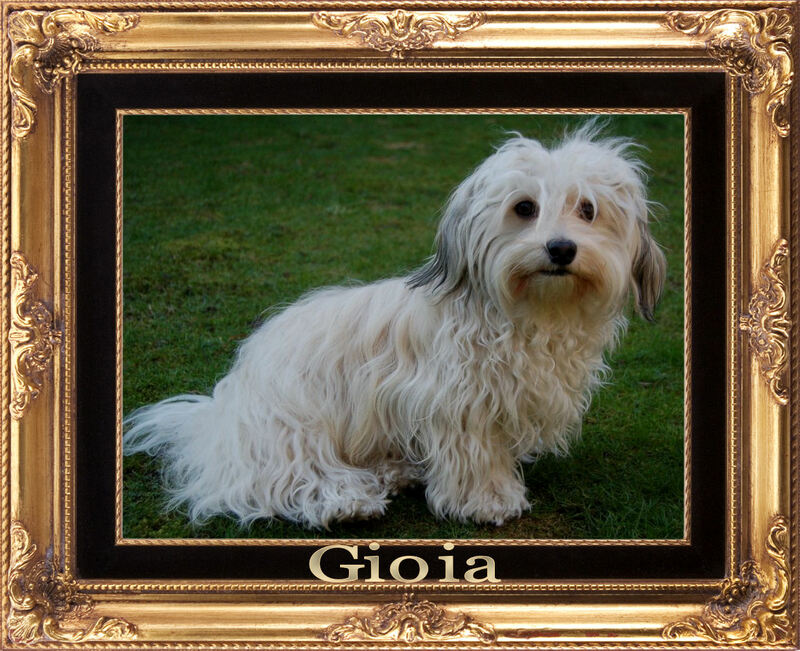 With Gioia we do not have the intention to breed.